Amber Tamblyn is one of the most talked-about feminist voices today. Through her fierce op-eds in media outlets such as the New York Times, Glamour, and Hollywood Reporter and her work as a founder of the Time’s Up organization, Tamblyn has tackled subjects including discrimination, sexual assault, reproductive rights, and pay parity, among others. Now, Tamblyn examines the very paradigm our society is built on, pulling at the threads of the ingrained patriarchal and misogynistic fabric. 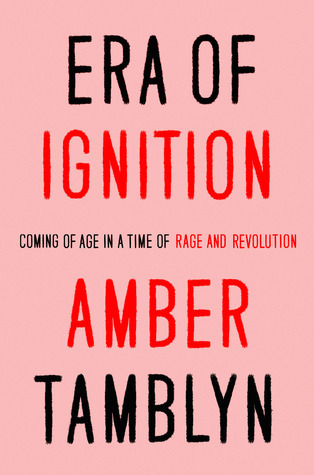 Tamblyn presents her insightful and pointed take on the current state of feminism and expertly weaves together her own experiences and opinions with the larger movement. In her late twenties and early thirties, Tamblyn experienced a crisis of character and a gradual awakening–her own era of ignition–that enabled her to take back the power in her own life and find her own voice as a bold, outspoken, and respected advocate for women’s rights. Using the same galvanizing voice that helped her recent op-eds go viral, Tamblyn delivers an incisive call-to-arms that will capture the heart of the movement as it educates and inspires readers.